Following the sudden withdrawal of Heather Nauert from consideration to replace Nikki Haley as America's ambassador to the United Nations, several names have been floated as contenders to fill the role. Among those, US Ambassador to Germany Richard Grenell has emerged as a clear favorite among President Trump's base. Having spent eight years serving as a U.S. spokesman and political appointee to the U.N. - the longest in U.N. history, Grenell has vast experience representing U.S. interests in controversial international matters; including the war on terror, the seemingly endless Middle Eastern conflicts and the U.N.'s oil-for-food corruption scandal. 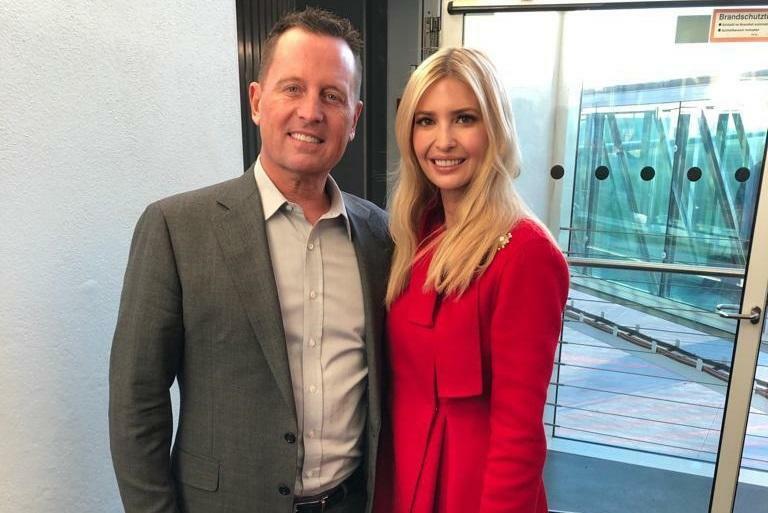 Grenell also served with, and advised, National Security Adviser John Bolton - a previous U.S. ambassador to the U.N. during President George W. Bush's administration. "He's a family favorite," reported the Washington Examiner in October, when word of Haley's departure was made public. It's clear that President Trump's base feels the same way. "I’m a huge fan of Ambassador Grenell," President Trump's former campaign manager Corey Lewandowski told Breitbart News on Saturday. "He has served the President of the United States with distinction in Germany and would make a great ambassador to the U.N."
Grenell has also garnered the support of former White House official and current adviser to Donald Trump Jr., Andrew Surabian, as well as former White House Press Secretary Sean Spicer, Turning Point USA president and founder Charlie Kirk, and former Trump adviser Sebastian Gorka - who told Breitbart News "Ric Grenell needs to be recalled and nominated forthwith for the U.N. post," adding "He has been the President’s most effective ambassador bar none. The best thing about his nomination is that with his rock solid MAGA credentials the globalist America-haters at the U.N. will be put on notice." The President should appoint his most loyal and effective Ambassador to the UN, Ric Grenell! A big easy win for @realDonaldTrump - let’s bring Ric to the UN! Trump deputy campaign manager David Bossie told Breitbart that "Rick Grenell stands for America in Germany and would do a great job at the United Nations," adding "Grenell’s unabashed belief in President Trump’s America First foreign policy would make him a fantastic UN Ambassador. Rick Grenell has extensive experience at the United Nations and would bring a depth of knowledge to hit the ground running." Other names supporting Grenell include White House ally Arthur Schwartz, who tweeted on Sunday: "I can’t name another ambassador that has done as much as Ric." 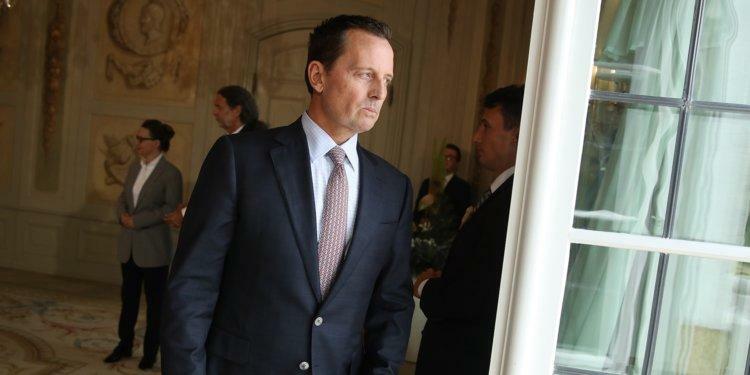 Grenell has served as the U.S. ambassador to Germany for around a year after his confirmation was vehemently blocked by some Democrats. He was confirmed by the U.S. Senate with 56 votes in early 2018 when Republicans had just a 51-seat majority, which suggests he would likely sail through confirmation to the U.N. ambassadorship with ease, writes Breitbart's Matt Boyle. Other names under consideration include Jamie McCourt, the U.S. ambassador to France, Kelly Craft, the U.S. ambassador to Canada, and Kevin Moley, assistant secretary of state for International Organizations.